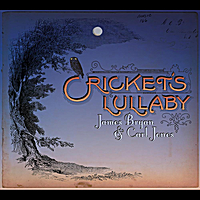 A long awaited second recording from James Bryan and Carl Jones. James is a 2011 Alabama Folk Heritage award winner and known for great tunes and tone. Carl for tasteful backup and original songs recorded by the Nashville Bluegrass Band & many others. a relaxed approach, minimal arranging, and embrace the unpredictable. to a good place as they certainly did that for us. This beautiful song was sung by Mrs.
because James and I go back a far piece. tucked into an old book I bought second-hand. (Music/arr. Carl Jones. Chordwood Music. and Gordon McCann [Rounder 0157]. Press] by Carmen Bernos De Gasztold. James and Carl always hit my ears in only the best way possible. Thank you James and Carl! !